AccorHotels has signed a deal with Vicinity Centres and Gandel Group to operate the Chadstone Hotel Melbourne under its MGallery by Sofitel brand. The new-build, 250 room hotel will sit alongside Chadstone’s world-class retail, dining and entertainment precinct and will further cement Chadstone’s status as the country’s number one fashion destination. Reaching 13-storeys high with two restaurants, a lounge bar, day spa, fitness and meeting facilities, the hotel will become the tenth MGallery hotel in Australia and will join other iconic Melbourne MGallery addresses including The Como Melbourne in South Yarra and Hotel Lindrum in Melbourne’s CBD. Construction on the AUD$130 million Chadstone Hotel Melbourne will commence in the first half of 2018 with the hotel scheduled to open in 2019. 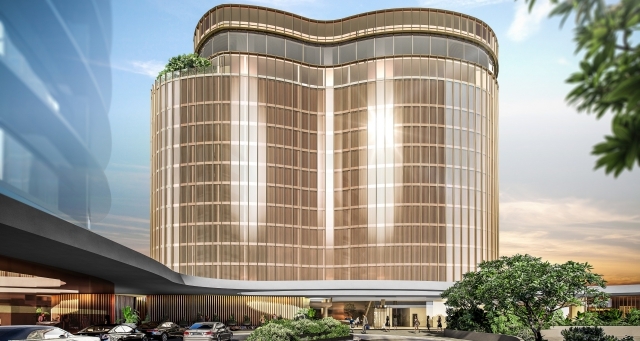 AccorHotels Pacific COO, Simon McGrath, said he was thrilled to be embarking on the project with the joint co-owners of Chadstone and that the development would contribute significantly to the evolution of the world-class precinct. “We are delighted to be working on Chadstone’s new hotel development and are incredibly excited by the synergies it creates; bringing our high-end, boutique MGallery by Sofitel brand to Melbourne’s most luxurious fashion address,” he said. “MGallery by Sofitel properties offer bespoke, unique consumer experiences that reflect local character which aligns with Chadstone’s brand and how we’re continuing to evolve the centre,” Viney said. Designed by leading Melbourne-based architects, Bates Smart, it will be the first hotel to target a 5 Star Green Star rating using the new generation Green Star – Design/As Built v1.1 rating tool.